*Please note we are required to charge 7% sales tax on all hedgehog purchases. Updated: 2/22/19 - We have several litters in the nest, so now is a great time to jump on our waiting list! Like us on Facebook or sign-up for our waiting list below to be alerted to when we have more hedgehogs available. See scheduled litters for estimates on when new hedgehog babies are due. See more hedgehogs for sale or see scheduled litters for expected future hoglets. Don't see a hedgehog you fancy? Or are we plum sold out? 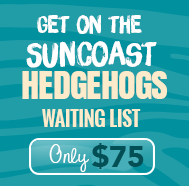 Get your name on one of our two wait lists to get sneak peaks at new baby hedgies before anyone else. Many babies are sold before ever being listed on this site, so we strongly encourage you to get on the waiting list if you are waiting for the perfect hedgehog baby. The VIP waiting list are people waiting for very special colors or specific genders or who just want to see the new hoglets first. This list is capped at 5 people. New litters announcements are sent out a week early to all VIP Waiting List members. 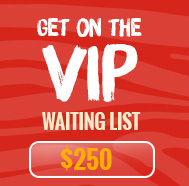 The fee for being on the VIP Wait list is applied to the purchase price of your selected hedgehog in full. What Gender or Color do you prefer? The Sun Coast Hedgehogs waiting list members get first look at all new hoglets just one week after the VIP waiting list. This list is capped at 10 people. New litters announcements are sent out one week prior to being listed on this website. Waiting list fees are applied to the purchase price of your hedgehog of choice.